This ministry began as the Constanza Care Center, located in the valley town of Constanza. One of the most fertile areas in Dominican Republic, this is where the majority of the country’s produce is grown. The Care Center started in a small rented building, but with the addition of more and more children, Kids Alive purchased land in 2004 to allow for the expansion and growth of this ministry. The Care Center began offering many of the impoverished children from the surrounding community excellent educational care. Several years ago, the Care Center converted to a full-day school, allowing us to have more time with each child and avoid some of the negative influences of public school in Dominican Republic. The school now provides more than 200 children, including those in the Ark residential home, with a basic education. Middle school and high school discipleship, tutoring, and sports programs offer significant points of contact with youth long after their graduation from 6th grade. And a new cafeteria will open in 2017, allowing us to offer better nutrition to children who desperately need it. 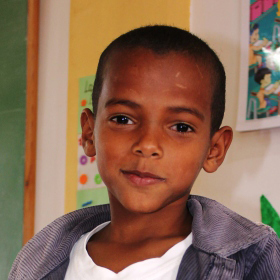 Support the Ministry of Constanza School with Your Gift Today.